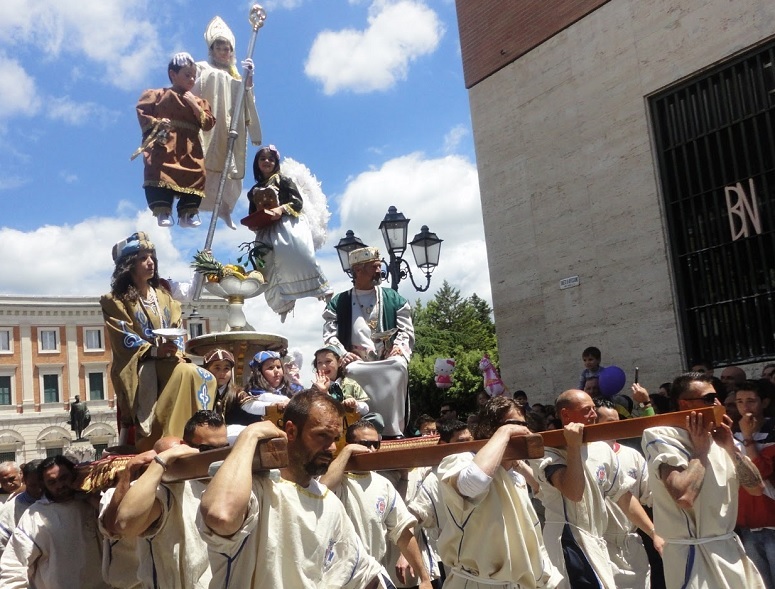 Sulmona - Easter Sunday - The Running Madonna ( Madonna che scappa). 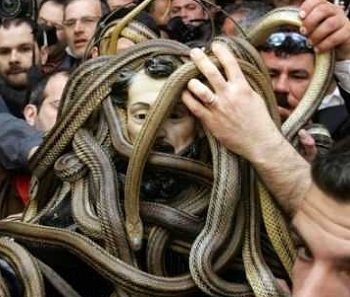 Cocullo - San Domenico Abbate - First week of May - Procession of the patron saint covered with snakes. 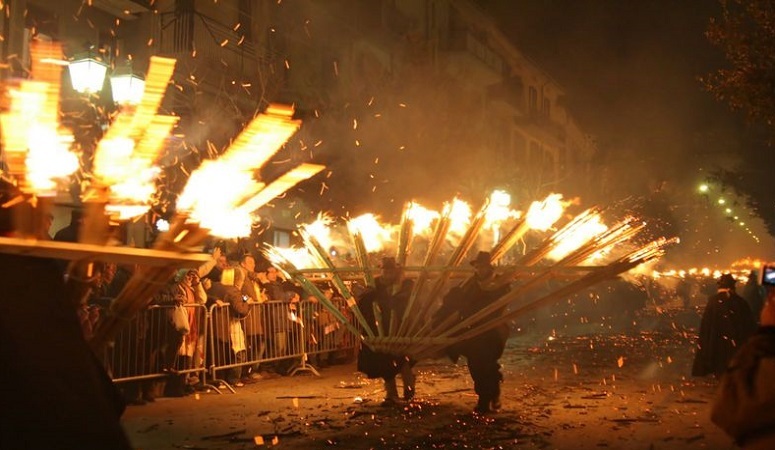 The 'Ndocciata - Agnone - An old Christmas tradition celebrated on the evening of December 24. 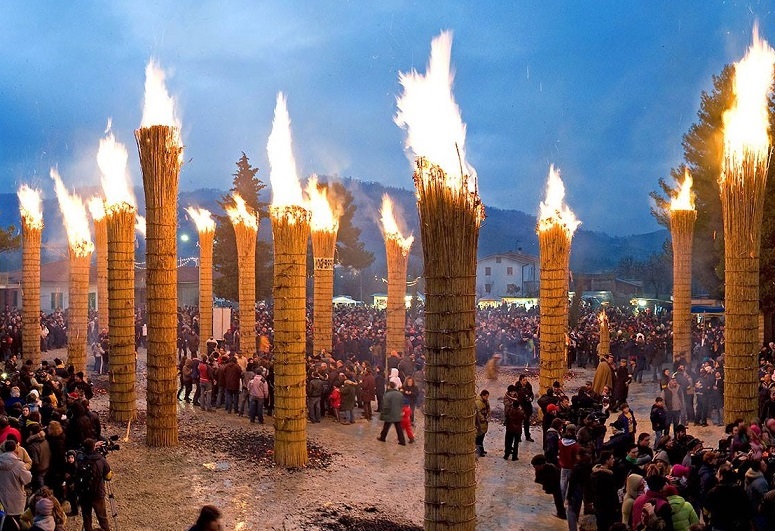 The ndocce are large torches made of silver fir pine and white bundles of dried broom held together by twine. 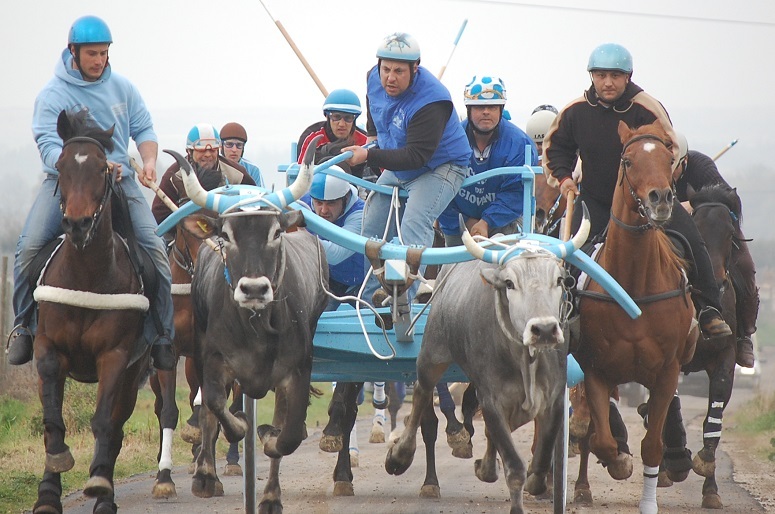 The 'Carrese" - The event, also known as "La Carrese" is a race between 3 or more wagons pulled by pairs of oxen. 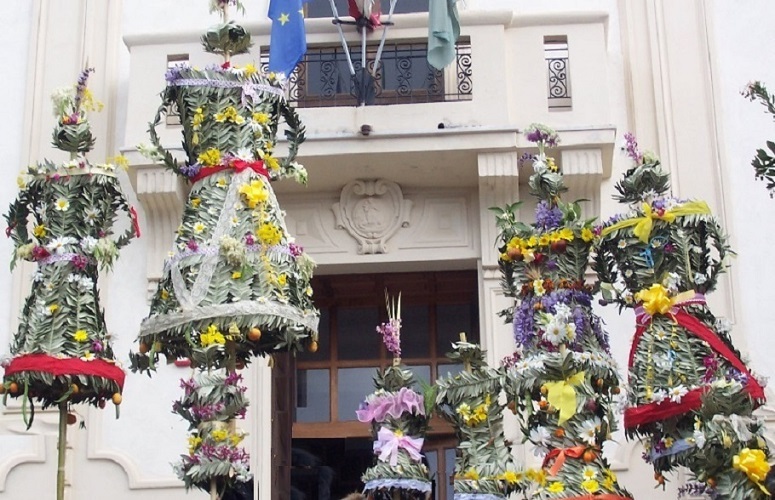 It takes place every year on April 30 in San Martino in Pensilis in conjunction with the celebrations in honor of San Leo, the town's patron saint. 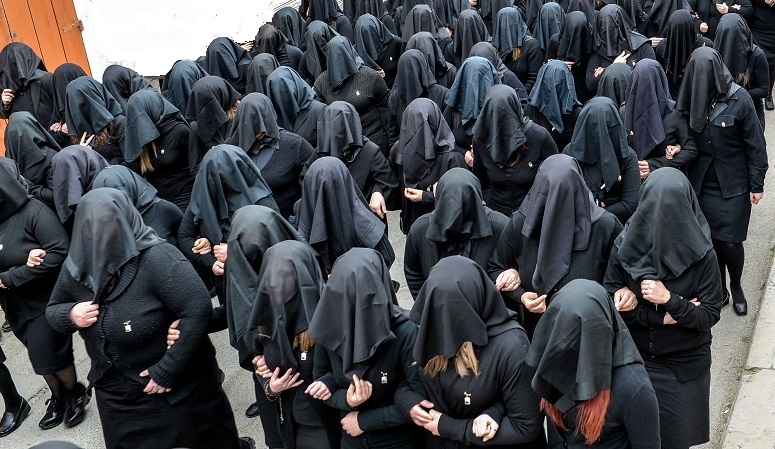 Feast of the Mysteries - Campobasso - Last week of May - Every year in Campobasso, on the Sunday of Corpus Christi, the procession of the Mysteries parading through the streets of the city gives life to a rare and charming sight. Mysteries, the brainchild of Paolo Saverio Di Zinno, for almost three centuries demonstrate the popular devotion and love of Campobassani to this tradition. 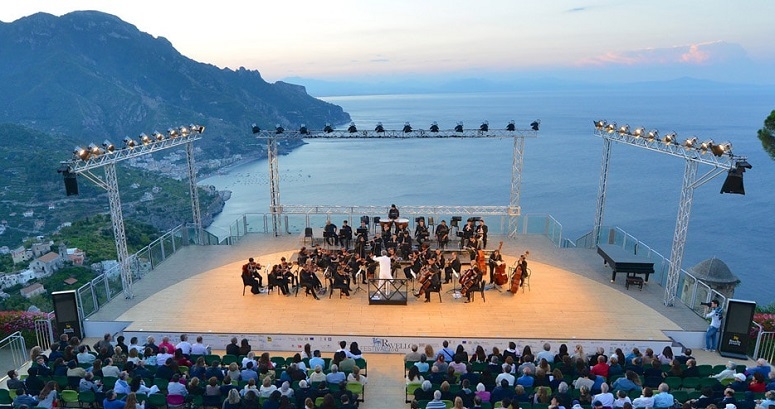 Ravello Festival - From June to mid September - From music and dances to films and art exhibitions. Some of the events take places in the gardens of Villa Rufolo, perched above the Amalfi Coast. 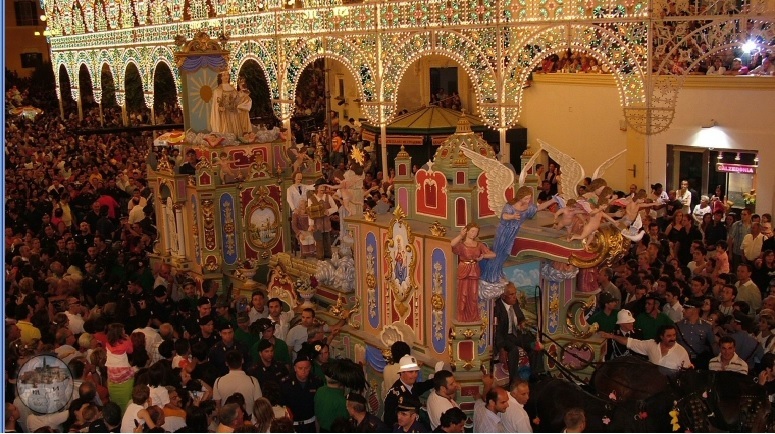 Festa Santa Maria del Carmelo - Naples - 2nd week of July . 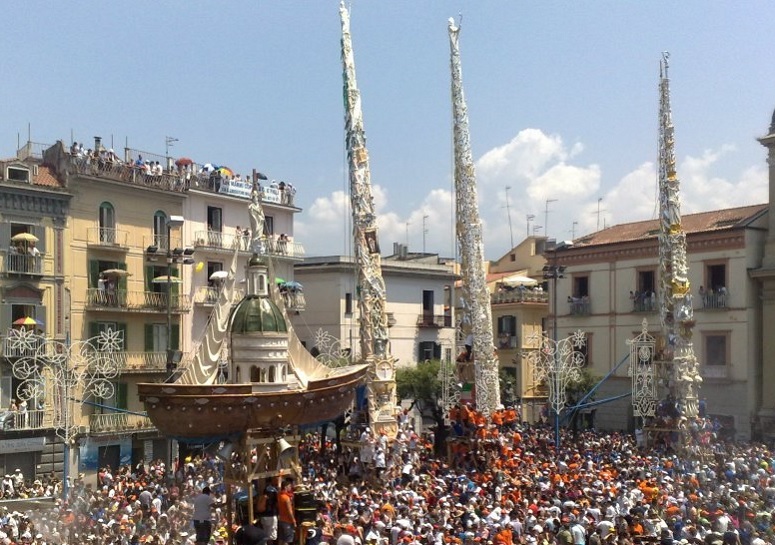 The Feast of the Lilies ( La festa dei Gigli) - Nola - Last week of June - The patronal feast is dedicated to San Paolino. 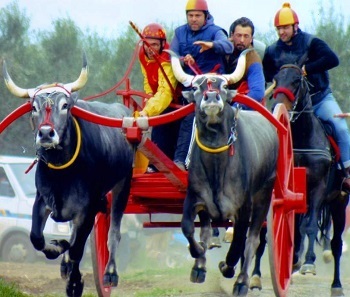 With this event the people of Nola celebrate the return to the city of Pontius Meropio Paolino from imprisonment by the Barbarians during the first half of the fifth century. 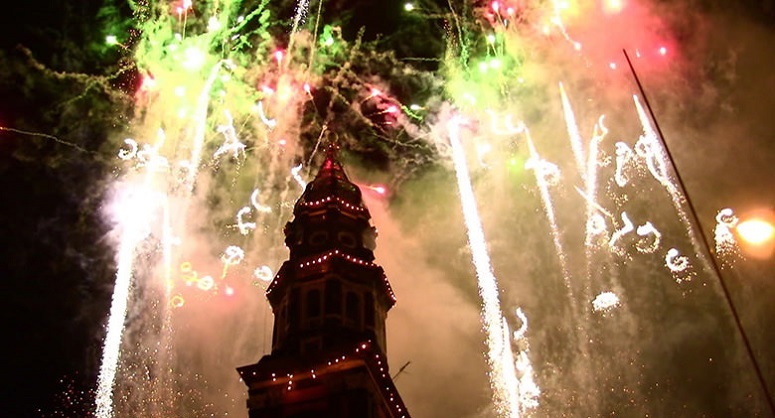 Miracle of San Gennaro - Duomo , Napoli - September 19 and December 16. 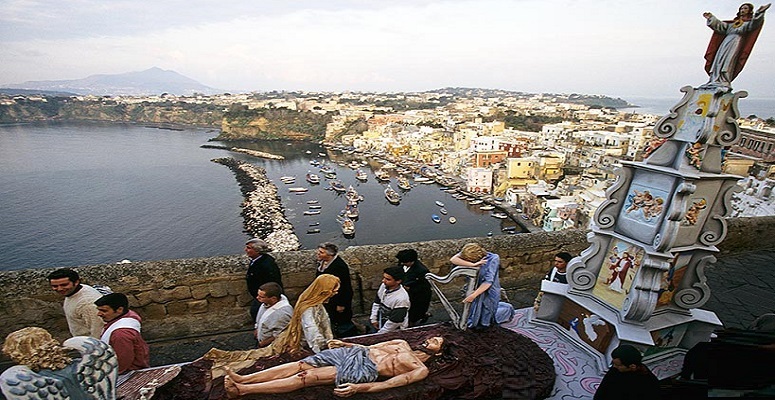 Reenactment of the liquefaction of the saint's blood. 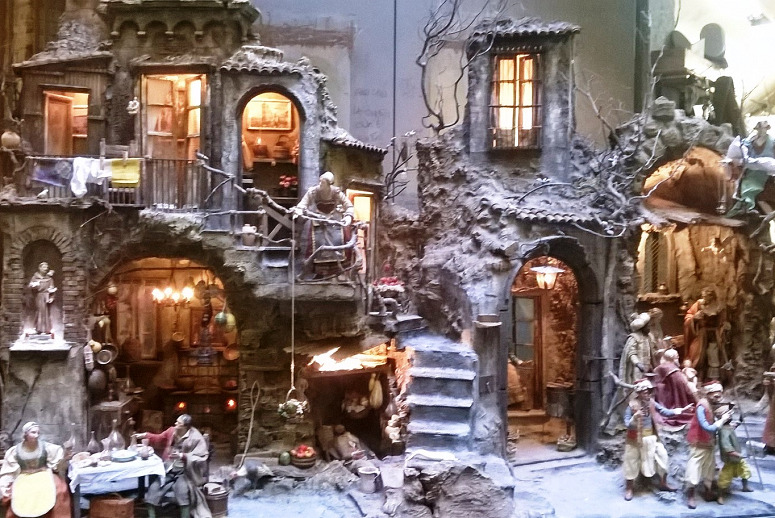 Shopping - Christmas fair - San Nicola Armeno - Xmas decorations. 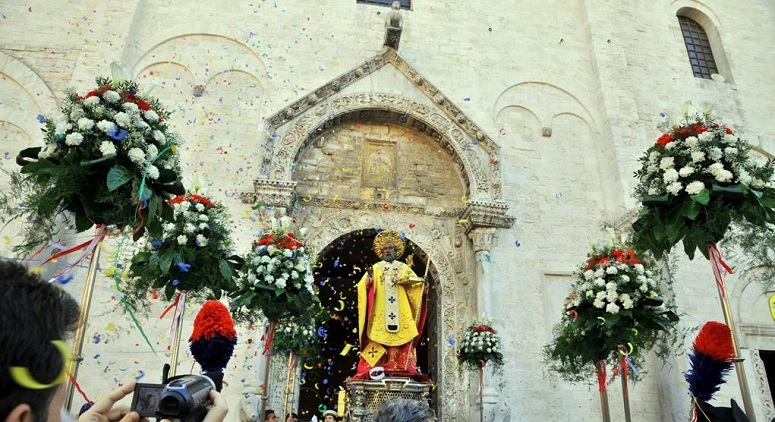 La Madonna della Bruna - Matera - The lively cerimony goes back over 600 years. Canosa di Puglia - Holy Week - Morning Jesus . 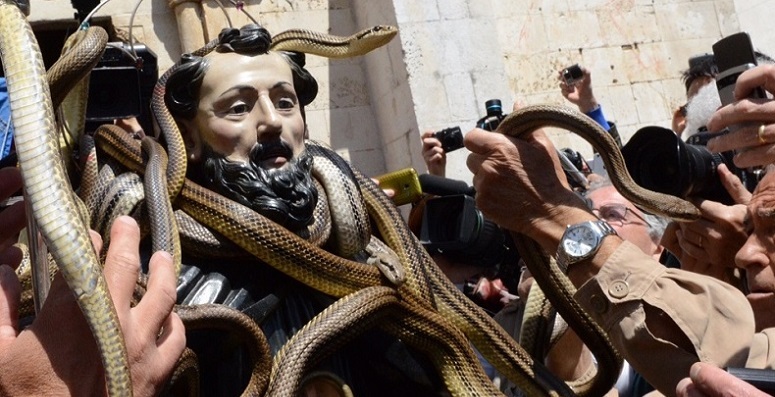 Bari - Festa di San Nicola - First week of May -Is celebrated annually in the Russian Orthodox Church as the feast day of the "Translation of the Relics of Saint Nicholas from Myra to Bari". 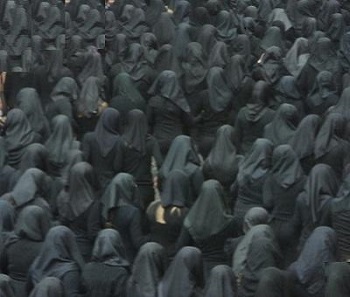 Pilgrimages to the basilica from Eastern Europe have increased dramatically since the fall of the Iron Curtain. 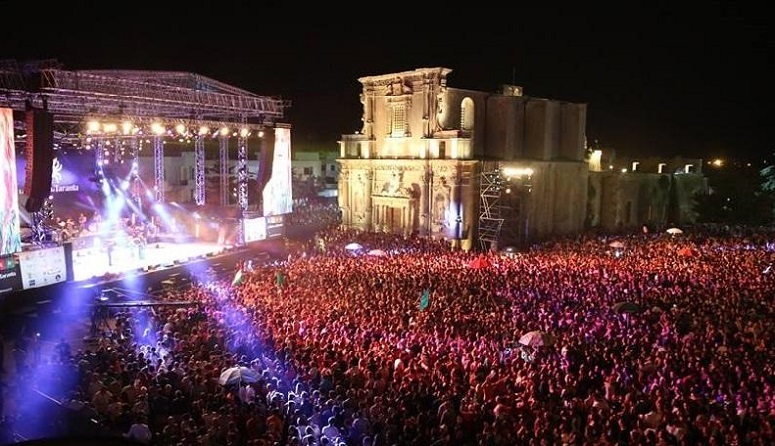 Night of the Taranta - Melpignano - Europe's biggest outdoor concert. Last week of August. 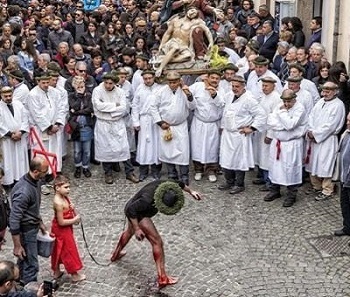 Nocera Terinese - Holy Week - I Vattienti ( Flagellants) . 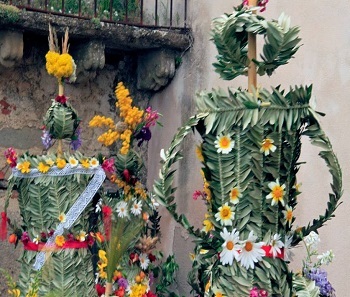 The Rite of the Vattienti is performed during the Holy Week by local people for spiritual cleansing.